Nikki and I make smoothies pretty much every day. Yet we realized that for some unknown reason we only have a couple of our recipes posted on the blog. 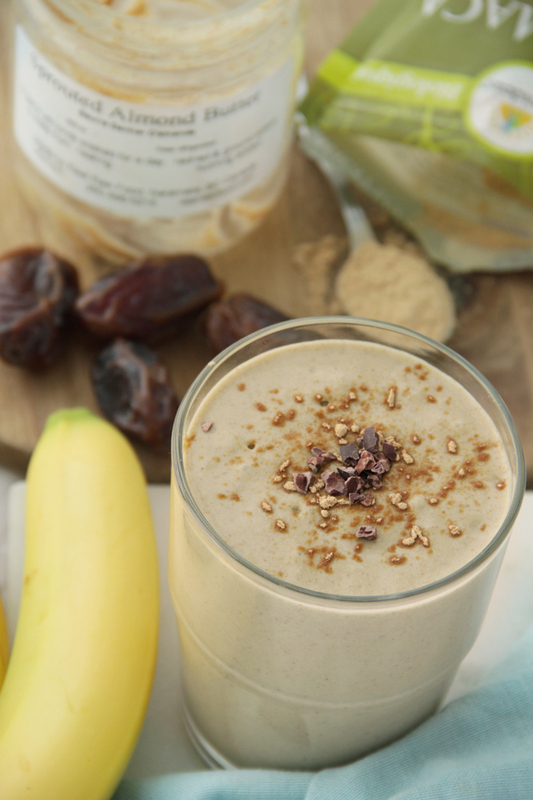 Today we are sharing one of our favourite post workout smoothies – Maca Rush. It was inspired by one of our local smoothie joints here in Vancouver. Now I hope you are ready for a real treat! 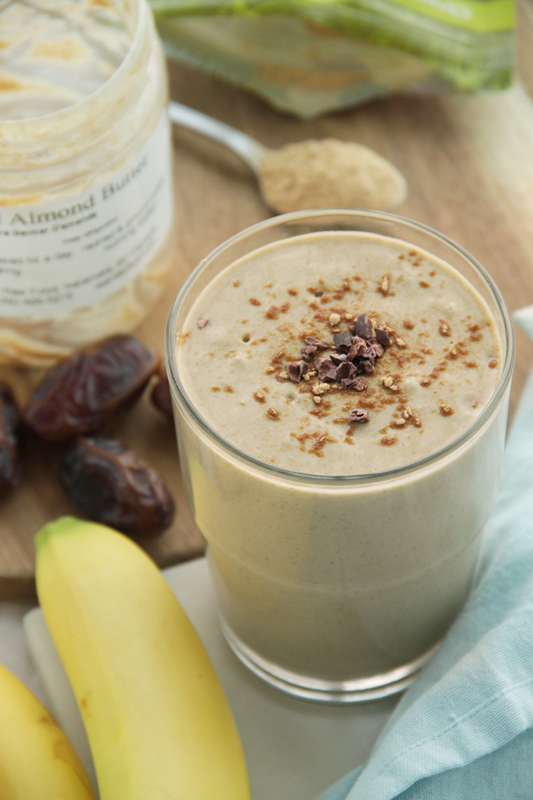 It’s rich, creamy, perfectly sweet and so so nourishing! 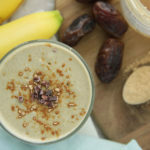 Many people report that regular use of maca makes them feel more awake, energized and driven – often relatively quickly after beginning to use it. Personally the thing I like about maca is that it does not give me the “jitters” or a sense of shakiness like high levels of caffeine do. Try it and feel your mood and energy level lift almost instantaniously. A review from 2010 that included four randomized clinical studies with a total of 131 participants found evidence that maca improves sexual desire after at least six weeks of ingestion. Not only is maca a good way to promote male sperm count and fertility; it is also good for both partners to actively eat maca in order to have a better chance of potential pregnancy. If you suffer from migraine headaches you might want to try maca. Because most migraines are related to an imbalance in hormone levels, or fluctuating hormone levels, maca works by leveling out those levels. 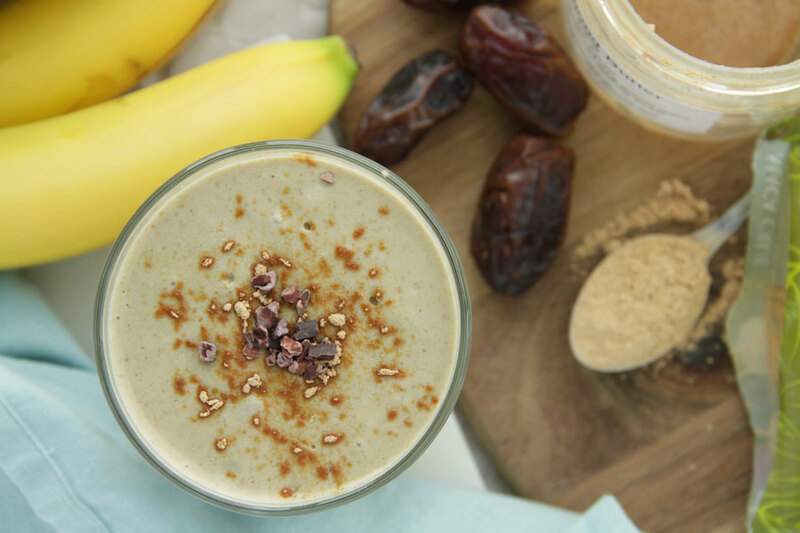 Maca doesn’t create any hormones in the body – it just helps the body produce them more consistently and effectively. Maca has also been traditionally used for helping relieve menstrual symptoms. Central to this is Maca’s effect on stabilising mood and hormone levels. It’s high nutrient density may also be part of the reason, as it provides key vitamins and nutrients that may help relieve cramping and other menstrual pain. For people with adrenal stress from work, disease, exercise or PTSD, maca can reduce the effects of cortisol on the adrenal glands and other organs so impacted by a “Type A”, high pressure lifestyle or job. Athletes, executives and anyone with an active life will appreciate how maca helps address the destructive actions of mental, emotional and physical stress on the body. Add all ingredients to your high-speed blender and blend until smooth. Add more or less almond milk for consistency.